Visit www.gothtober.com and click on DAY 23 to see turbulent, fast-moving HAUNTED action from Jenny Walsh! How do you feel about pirate zombies, skulls, tarantulas, severed heads with pipes going through them, video games, and the DJ with a cult-like following: Bassnectar? Well, you’re gonna find out! It’s crazy, it’s creepy, it’s IN YOUR FACE! And it’s here for Gothtober! Find out more about Jenny Walsh here! Gothtober Day 21: Mike Rainey! 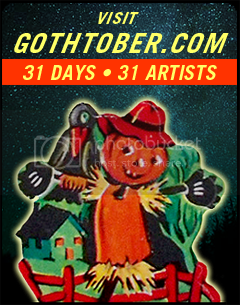 artists Comments Off on Gothtober Day 21: Mike Rainey! 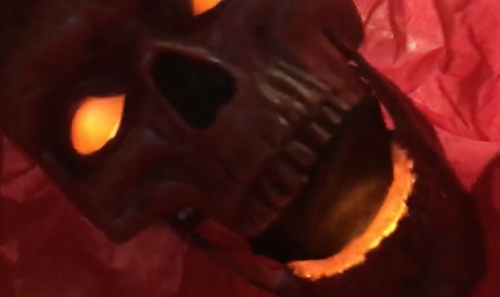 Visit www.gothtober.com and click on DAY 21 to watch a strange, fantastic and beautiful little film by Mike Rainey! 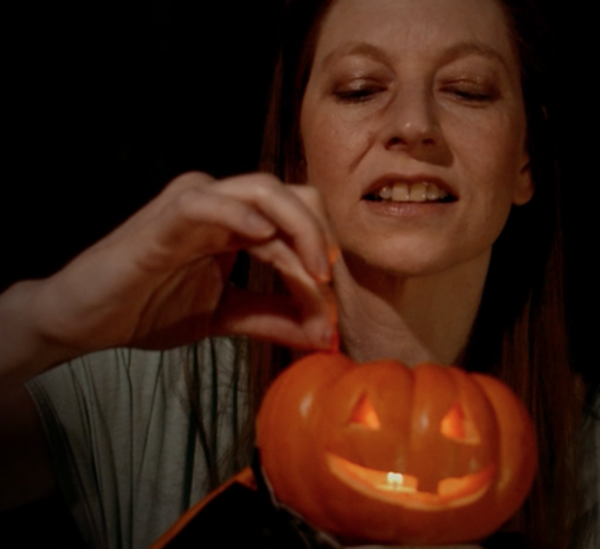 Listen to the strings ebb and flow as a mysterious individual carves a small jack o’ lantern. What was once a stationery and unmoving object is sent out into the world by its creator. “Many people face monsters every day, monsters who wear the faces of respectable, mainstream people. Monsters who diminish life, who steal joy and pollute existence because they feel entitled to take, without empathy or consideration. Find out more about Mike Rainey here!